BEYONCE and Jay Z are set to perform at Brad Pitt and Angelina Jolie's wedding. The couple - who recently wrapped their US 'On The Run' tour - are said to have been pencilled in to play at the nuptials of Brad, 50, and Angelina, 39, as their kids Maddox, 13, Pax, 10, Zahara, nine, Shiloh, eight, and five-year-old twins Vivienne and Knox are huge fans of the duo. A source told The Daily Star newspaper: "Brad told Bey and Jay, that their kids, especially Maddox - adore them. "He told them it would make their big day extra special to have them both do a number." 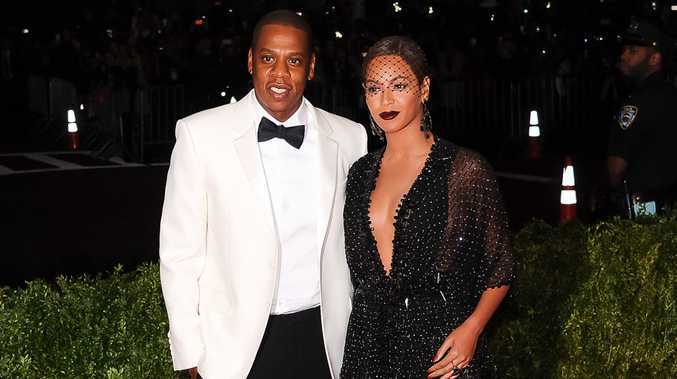 While Beyonce, 32, and Jay Z, 44, have said they will try their best to make time to perform at the ceremony they haven't made any promises to appear due to their "hectic schedules". The source explained: "They were flattered and said they'd do their best to fit it into their hectic schedule, depending on the date." Meanwhile, the couple - who have been married for six years and have a two-year-old daughter, Blue Ivy, together - have recently sought solace at their close friend Gwyneth Paltrow's Los Angeles mansion to escape constant speculation about the state of their marriage. According to reports, the couple are enjoying the privacy that the Brentwood property offers and plan to stay there before flying to France for their final gigs on September 12 and 13.